Last Sunday, I spent my times with two siblings of mine. They came for business, some like a meeting and the other is just the work that I not really understand. We also did a very enjoyable hangout. Glad for me to meet them. 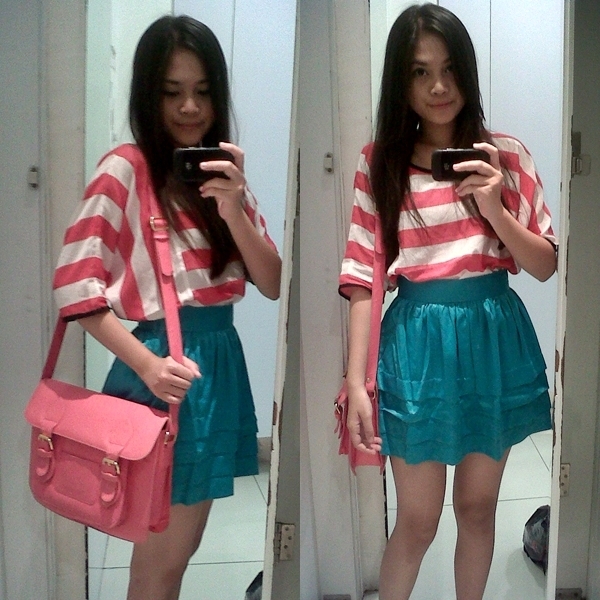 I was wearing my strawberry stripes loose top, cyan silk skirt, and beige flat shoes. Absolutely, never forgot brought my adorable strawberry postman bag, the thing which I bring oftentimes to my campus. Bought this adorable sweet bag last year. Someday, a friend of mine just asked me "Clara, why your bag is in strawberry color?". My words are "I love it". 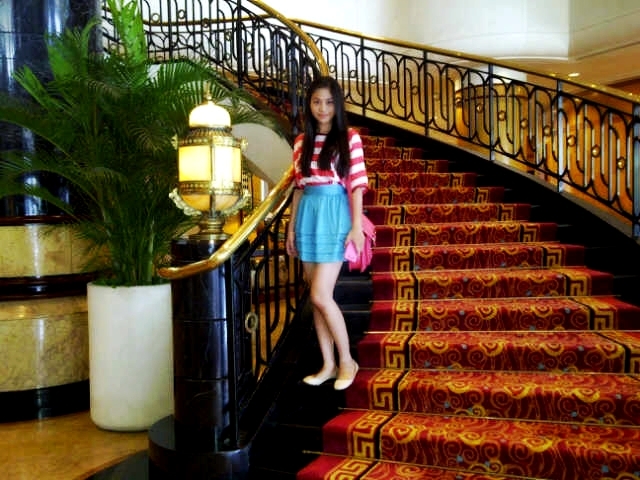 That day, I feel so bright-full by wearing neon colors, cloudless me. And this weekend until next next week gonna be a hard time and pretty busy for me. Huft!